Gravert Jenny & Partner • International Executive Search & Consulting. Specialized in recruiting for energy markets. GJP is a highly specialized executive search & advisory boutique to the energy industry. We have exceptional knowledge of the upstream, midstream and downstream value chain, providing top-level research, consulting and on-boarding services to our clients. We get mandated when it is getting complex and keep on going when others stop. GJP International is located in Vienna, the economic centre and cultural melting pot in the heart of Europe. In Vienna, East meets West making it the ideal hub for GJP’s activities: our search mandates span all of Europe, from London to Moscow and Istanbul, extending into the general EMEA space and Asia. Contact us. 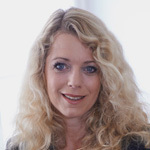 Ulrike holds a university degree in Psychology with a focus on Business Psychology and Organizational Development. She entered the consulting business in 1997 at ConEnergy, a German company, where she set up their Executive Search Business. With the market liberalization underway, Ulrike became one of the first Executive Search Consultants in Continental Europe dealing with the creation of energy trading floors. In 2000, she joined Ray&Berndtson, at the time one of the largest Management Search companies globally. As the leader of the Energy Practice Group for CEE, Ulrike was responsible for the group’s market development activities within the Eastern and Southeastern (CEE&SEE) European energy markets. In addition, she was the Lead Key Account Manager for multinational search mandates and responsible for the preparation and execution of large Management Audits for the energy industry in CEE countries. In 2004, Ulrike founded GJP International, where she is today acting as Managing Director. With over 15 years of experience in the field of executive search and management audit in fully and partly liberalized energy markets, Ulrike’s focus covers the majority of the energy markets’ value chain. Peter Gravert holds a Master’s degree and a PhD in Engineering. He joined GJP International in 2007 in the role of Managing Partner. Prior to his engagement with GJP International he worked for Andritz AG, a large international plant engineering company, as Senior Vice President responsible for the global business of the Metals division. With over 20 years of experience in international business in Asia, Russia, Europe, South and North America he has an extensive know-how in all relevant management issues like strategy development, finance, M&A and restructuring as well as in operational management of engineering, sales and execution of international large scale turn-key projects. His experience with M&A, market development and restructuring covers Europe, India, China and Russia, including start up and operation of business entities in Europe, China and India. Peter has built his business successes on the selection, development and coaching of the right people and teams - a long term experience he brings to his clients. Peter specialises in executive search and management audit as well as strategic and operational consultancy services for company management (supervisory boards, executive boards, managing directors), consultancy services for investors and start-ups, divestments and mergers. He speaks German and is fluent in English.